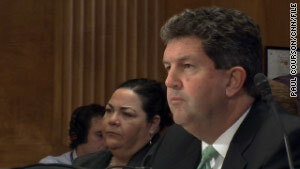 Postmaster General Patrick Donahoe will insist Tuesday that the trust fund be re-scaled. Washington (CNN) -- The U.S. Postal Service does not have the money to meet an obligation to a retiree health care trust fund coming due at the end of the month, but if there's a default, officials promise no interruption in the mail, the payroll, or payments to suppliers. Commenting in response to a New York Times article Monday suggesting the Postal Service may have to shut down within months, spokeswoman Yvonne Yoerger told CNN there's "nothing actually new in the Postal Service's position." "We are required to make this $5.5 billion dollar payment into the future retiree health benefits fund, and probably won't be able to make it when it comes due September 30th." The fund was mandated by a 2006 postal reform act that postal officials today believe does not match the reality of declining revenues and a smaller workforce. Tuesday, congressional lawmakers will address the matter in a hearing on postal operations. Yoerger said at that hearing, Postmaster General Patrick Donahoe will insist that the fund be re-scaled from the days when there were 900,000 people on the payroll. The mandated funding level has not changed in the years since then, although the Postal Service has trimmed 250,000 jobs. She said "the fact is, no other government agency, and few corporations in the private sector are required to fund retiree health benefits 75 years out." The newspaper quoted U.S. Sen. Thomas Carper, D-Delaware, as saying the financial problems are so dire the Postal Service may close later this year. Yoerger agrees her agency does not have a sustainable business model, but stopped short of saying a shutdown is possible. One answer is to adjust those mandated payments. "We want to have the pre-funding mandate eliminated, and have the money already paid into it used for those purposes" of covering health care benefits for future retirees. She said, "We've overpaid into our retirement funds, and we'd like some of those overpayments refunded and used for future funding." She acknowledged the basis for the advance payments were mandated in 2006 because lawmakers wanted assurances the Postal Service could cover benefits for its future pensioners. In addition to relief from the future retiree payment mandate, Yoerger said the proposed business plan of the Postal Service would include a combination of closing post offices, expanding joint ventures with private industry, and changes in how often you get the mail. "Right now we are required to deliver six days a week," she said, "if it can go to five days a week, as proposed, we could better match the declining volume of mail."